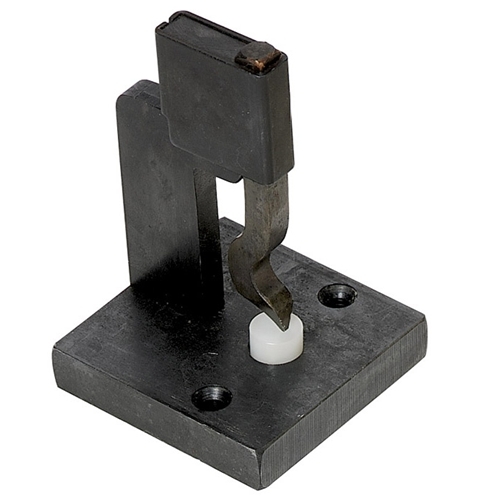 Accommodates standard ring stamps with approximately 5/16" square bodies. Eliminates need to hold ring and stamp in one hand. Simply position ring over nylon anvil and tap stamp with mallet. Comes with replaceable nylon anvil so rings are not marred during stamping. Easy and accurate time-saver. Eliminates slipping of ring. It is also ideal for flat stamping. Uses existing stamps (if not exactly 5/16" square, the sleeve can be reversed or the stamp body can be touched up with a file). Stamps must be ordered separately  not supplied with device.